Underfloor heating delivers a near perfect temperature profile between floor and ceiling due to a balanced combination of radiant and confected heat. This type of heating can be very easily installed into new projects however it is more difficult to install in older buildings. All London Gas engineers will be able to give you help and advise. 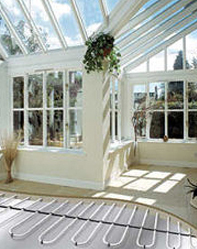 Hygiene - No dust and because the moisture content is low, the underfloor heating will help to reduce dust mites. 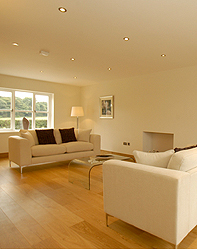 Cost Effective - it is possible that energy savings from 15-40% can be achieved with underfloor heating. Ease of Control - Small difference in temperature between the floor surface and the air above means the system is practically self regulating. 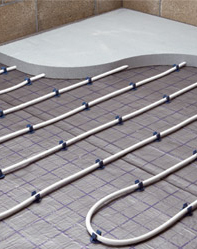 Our engineers are certified underfloor heating installers and will be able to discuss all issues with you. Excellent quick service. Arrived on time and sorted the problem out (replaced central heating pump) in a short time. Thanks.